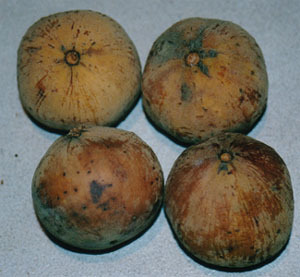 Small, 1-2" yellow-brown skinned fruit bearing a passing resemblance to the longan. Fruits have a mild acidic grapefruit-like flavor and are tasty in their own right. The flesh is firm but juicy, and translucent white in color. 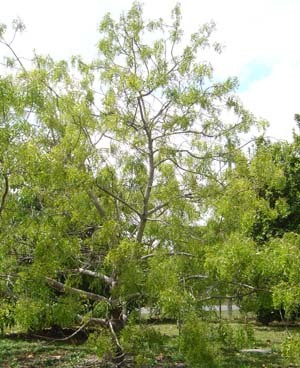 Medium sized, ultra-tropical tree from 30-50ft. It cannot tolerate any cold and will defoliate at temperatures below 40F. It grows best in humid conditions with plentiful water year-round. It is not adapted to climates with long dry seasons. By seed, and by grafting. Seeds remain viable for 7-10 days. Seedling trees take 10-20 years to fruit. Fruits are generally eaten fresh. Native to Malaysia and the Philippines. The langsat is cultivated throughout Southeast Asia and is grown commercially.